Latest engineered enhancement to DuraCooler design. A series of engineered flow diverter “scoops’ are added along the width of the bottom edge of tube assembly creating a diversion of the seawater that “flushes” the stagnated areas between the tubes forcing convection between hot tubes and the lower temperature seawater. The diverter is a unique design which must have a specified spacing between the diverter and tubes. Graphic of diverter “Scooping” action. 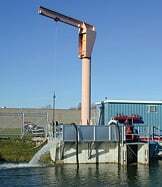 The diverter was developed using state of the art Computational Fluid Dynamic (CFD) modeling techniques then tested and validated utilizing a full scale water tunnel. The diverters are engineered to ensure a “scooping” action far enough away from any stagnant regions to allow forced convection between the hot tubes and the lower temperature seawater. 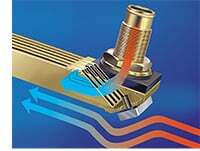 Streamlined header improves coolant flow distribution by 35% and heat rejection by 45% in outer tubes. Note: Study above conducted on a SC-48-96 and equivalent size square-head unit. Studies conducted by: Flow Simulations Inc. e-mail: info@flowsimulations.com Overall heat transfer in the DuraCooler SC-48-96 increased by 17% over the square-headed, traditional design keel cooler unit tested of equal size in initial testing. DuraCooler is custom-engineered to fit your exact needs. Nozzle size and diameter manufactured for specific application. 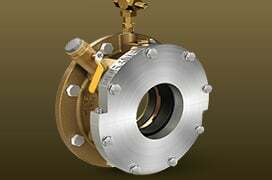 Two piece header design allows for braising on inside and outside of the header which, in turn, increases the integrity and reduces the chance of leakage. Sea chest or cofferdam is required by A.B.S. This is for non-through-hull applications. Hardware is located outside the hull for easy access. It is recommended when space inside the hull is tight or equipment makes through-hull inaccessible. No cofferdam or sea chest is needed. 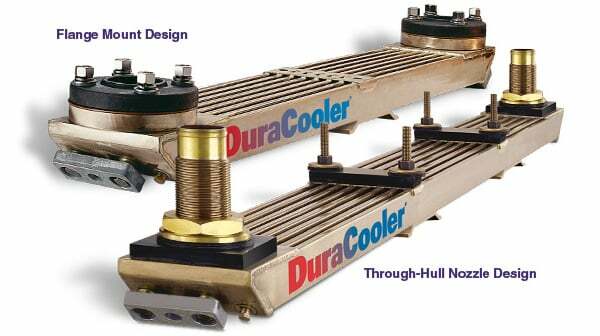 DuraCooler design reduces installation and maintenance costs. 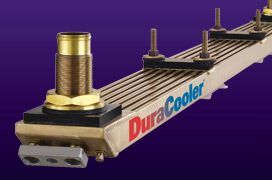 DuraCooler Streamlined design with increased coolant flow to the outside tubes, can reduce the footprint of some units by as much as 42%. DuraCooler units can be easily retrofitted to cool auxiliary engines and other heat sources at a lower cost. DuraCooler one piece construction is compact, making it easy to install. It’s built for long life and low maintenance, with high-strength 90/10 cupronickel tubing that has excellent anti-fouling and heat transfer properties. It also resists water-flow erosion. Your DuraCooler is custom-sized and manufactured to meet your engine specifications, installation space, internal plumbing configurations and operational requirements. In 1997, Duramax Marine initiated a research and development program to identify opportunities to improve the operational efficiency of the square-headed outboard keel cooler. 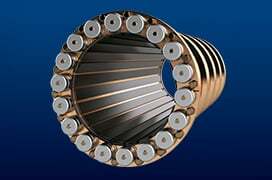 Finite element computer studies were conducted to determine internal and external flow patterns, pressure drop and heat transfer characteristics for different heat exchanger geometries. The traditional square header design system was tested for inefficiencies. Computer modeling showed poor coolant flow through tubes 1 & 8. It indicated the outside tubes were being used least efficiently even though these tubes had the greatest potential heat rejection per linear foot. Inefficiencies were attributed to the geometric square head design. Duramax Marine began to develop a more efficient streamlined header design. It needed to enhance interior and exterior flow patterns and, at the same time, reduce the overall pressure drop within the keel cooler unit. Resulting in a more efficient unit with a smaller footprint. The DuraCooler streamline header design was tested. 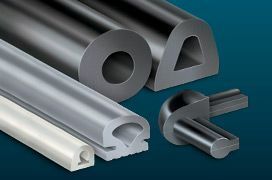 The tests conducted on the streamlined header design showed an increase of coolant flow of 35% in the outside tubes, along with an increase of heat transfer in the outside tubes by 45%. Nozzles on opposite ends of the cooler to accommodate internal plumbing. 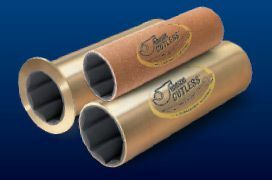 Nozzles are available in various lengths and diameters. For internal plumbing that requires nozzles on the same end of the cooler. Allows the internally to be more centrally located. To accommodate hull design, operating conditions and protection from damage. Duramax Marine® is committed to continuous improvement. In 1998, Duramax Marine® built an 800,000-gallon testing facility to better emulate marine conditions in a controlled environment. The testing facility can test keel coolers 20 feet long and weighing as much as two tons. Temperature drop, pressure drop and flow rates can be monitored and recorded. Duramax keel cooler experts operate this facility. It shows their commitment to the marine industry to help vessels meet the ever changing cooling requirements of engine ecological advancements needed for a clean new world.